Be refreshed with seven natural materials and fresh lemon fragrance! 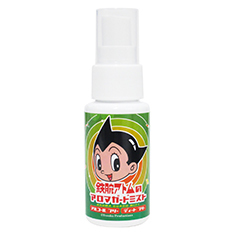 We design Astro Boy which is popular among children. How to use/ This refreshing aroma mist is especially recommended for outdoors. If fragrance disappears, please spray again.